Japanese Garden Design explains the theory, history, and intricacies of Japanese gardening through gorgeous photographs and expert commentary. The creation of a Japanese garden combines respect for nature with adherence to simple principles of aesthetics and structure. 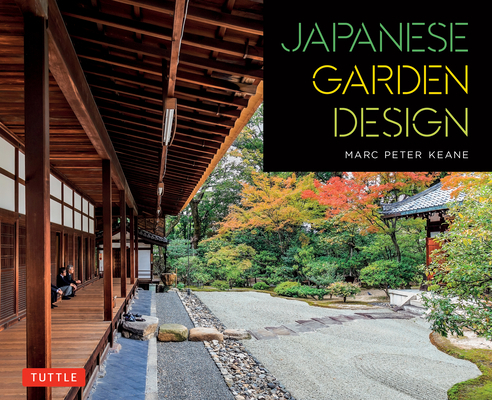 In Japanese Garden Design landscape architect Marc Peter Keane presents the history and development of the classical metaphors that underlie all Japanese gardens in this. Marc Peter Keane, a licensed landscape architect, and garden designer, came to Japan in 1985, and since then has been creating and building gardens for companies, temples, and private individuals. He teaches a design workshop as an adjunct professor at the Kyoto University of Art and Design and is a staff member of the Research Center for Japanese Garden Art there. He has traveled and lectured widely on traditional and classical approaches to Japanese garden design and landscaping. He lives in Ithaca, NY. Haruzo Ohashi, born in 1927, is a freelance photographer based in Tokyo and is considered one of Japan's leading garden photographers. Among his many publications are Famous Gardens in Japan, Gardens of Japanese History, Vol. 35, and Japanese Garden, Traditional Forms and Drawings, Vol. 5. He is a member of the Japan Professional Photographers Society.